Prior to Wheelhouse Entertainment, Sean worked at A&E Networks for nearly 15 years. He served as president of international and digital media at A&E Networks, where he oversaw the company’s rapid growth units and was a member of the A&E executive and senior leadership teams. He was responsible for the company’s brands, services, content and digital business outside of the U.S., and all U.S. domestic digital activities, including sites, apps, digital-first content studio, distribution and licensing. Under his leadership, A&E Networks expanded its global footprint across 200+ territories, launching History in every market where local law allowed. He launched 58 new channels, including global rollouts of Lifetime, A&E and Crime+Investigation, and established new businesses and teams across EMEA, Asia Pacific and the Americas. Sean also built a top global content sales organization and spearheaded a range of acclaimed formats and co-productions. He constructed both the world’s largest made-for-TV movie distribution unit and a boutique drama unit financing properties such as Roots, Unreal, Bluebook and Knightfall. As digital chief, Sean invigorated A&E Networks’ strategic partnerships with key digital players from Google to Twitter; successfully re-positioned the popular websites History.com and Biography.com, which reach over thirty million visitors monthly; grew robust TV apps for Lifetime, A&E and History; cultivated two successful direct-to-consumer offerings in History Vault™ and Lifetime Movie Club™; and launched digital extensions such as the Webby-nominated This Day in History on Amazon Alexa. Sean has been named a Digital All Star by Broadcast & Cable, ranked in the Top Five of CableFax‘s Most Influential Minorities in Cable and was called one of the Most Influential Blacks in Corporate America by Savoy Magazine. 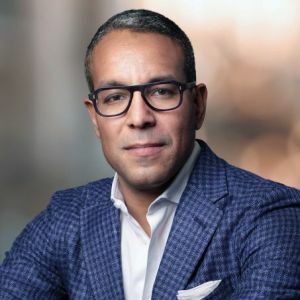 He has also been recognized in the CableFax 100, Digital TV Europe‘s Euro 50, a NAMIC Next Generation Leader and Luminary and was honored with Broadcasting and Cable‘s 2016 Diversity Leadership Award. Prior to his tenure at A&E Networks, Sean held positions at Primedia, Morgan Stanley, NBC and A.T. Kearney. He is a director/trustee on the boards of Banff World Media Festival, The Opportunity Network, Parrish Art Museum and 2btube. He is a graduate of Harvard University and holds an M.B.A. from Stanford University.